Some members of our EGA Bead Group decided to purchase a kit with instructions for this bracelet from it's designer Elizabeth Fusina . 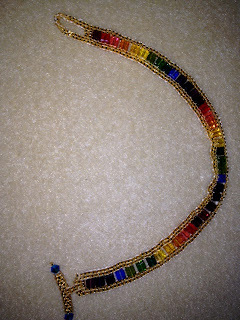 Its made with gold delica beads and crystal cubes in the colors of a rainbow. Braid-in in April 2012 at the Bally Springs Inn in Barto,PA. Each year we are challenged to create a braided creation and this year it was to be "something about weather"...soooo I looked around our house and decided to ask my hubby if I could use one of his paintings to try to create the scene by braiding it - to which he agreed. It was time intensive to create the colors I wanted to have and instead of using wool dye, I used Rit-Color Remove andselectively took out color to create shading....Finally, I used thin colored wool roving fibers and needle felted those onto the braids....also needle felted the boy and girl watching the Sun set. 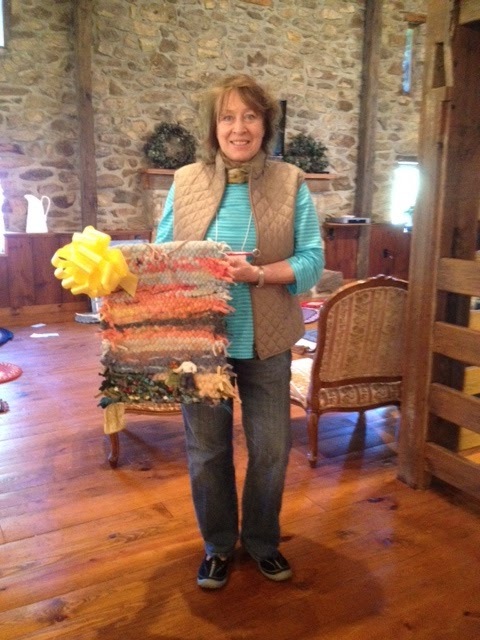 I named my braided fiber art picture"Sunset by the Sea" and won First price. 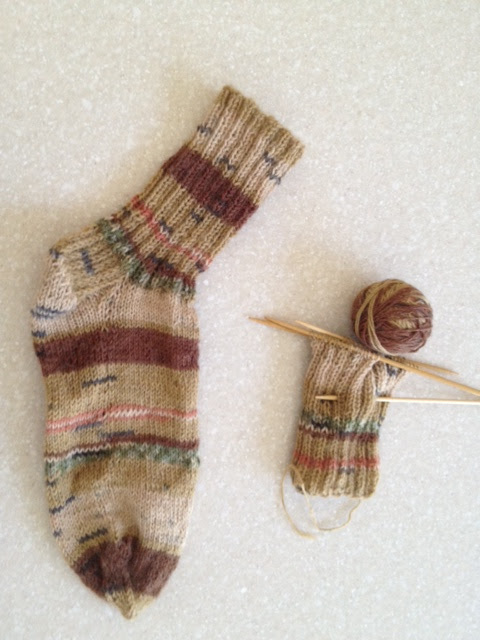 My dear friend Evie got me to do it - she gave me a little bag with yarn, knitting needles and a video and said:"here this is for you - if I can do it- you can do it"